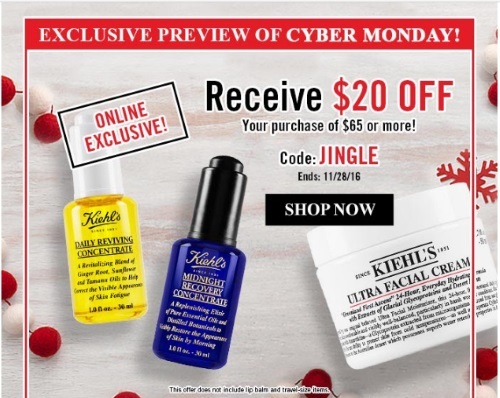 Kiehls has given us a preview of their Cyber Monday Sale now! Save $20 off your purchase of $85 or more! Offer does not include lip balms or travel sized items. Enter the promo code JINGLE at checkout. Offer is valid now until December 28,, 2016. This offer is an online exclusive. Click here to browse Kiehls Canada.